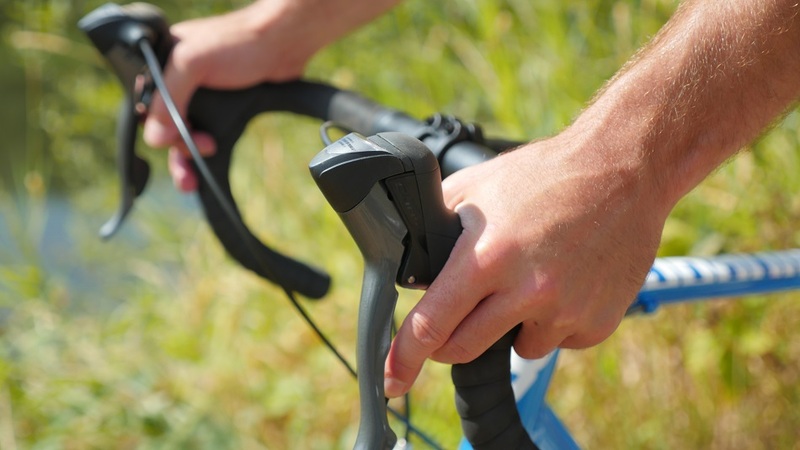 With a little practice, changing gears can be as intuitive as pedaling. Here are six things to remember. Most bikes have two or three chainrings in the front and anywhere from 7 to 11 gears, or cogs, in the back. Moving the chain from the smallest rear cog to the largest eases your pedaling effort incrementally. Moving it between the chainrings in the front results in a more noticeable change—pedaling feels easier in a smaller chainring and harder in a bigger one. The left-hand shifter changes the front gears; the one on the right controls gears in back. If you get flustered on the fly, remember: Right = Rear. Use only the rear cogs and the small or middle front chainring when you’re just getting comfortable on a bike. Look down to see what gear you’re in. Shift whenever a more experienced rider does. The reason bikes have gears is so you can pedal (relatively) comfortably no matter what the terrain. Shift to an easier gear on climbs or when you’re riding into the wind. Use a harder gear on flats or if the wind is blowing from behind. When in doubt, shift before the terrain changes. When you shift, ease up on the pedals, especially on hills; if you’re pushing hard, the chain may skip or fall off. That means the chain is at an extreme slant, either in the big ring up front and the biggest cog in back, or the small ring up front and the small cog in back. This not only stresses the hardware, but it also limits your options if you need to shift again.